The OnePlus 6 is the first smartphone launched by OnePlus for this year 2018 and it's also the first phone from the company to feature the controversial display notch. The device is powered by the most efficient Snapdragon processor coupled with 8GB of RAM and 256GB internal storage all for a very affordable rate. 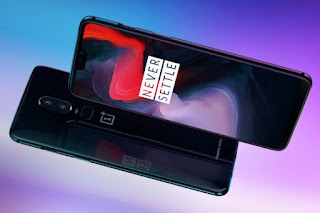 Even though the company just commenced sale of the smartphone yesterday May 22, the first update for the Oneplus 6 has already started rolling out with some new features and improvements. One of the most important new feature in this update is the ability to show or hide the display notch depending on the user's preference. Option to do this can be found in the phone's settings. Another feature included in this update is the support for slow motion videos. You will now be able to shoot super slow mo videos at 720p@480fps and 1080p@240fps using the OnePlus 6 camera. Aside that, you will now also be able to take quick capture in portrait mode. Aside those two features listed above, the update also includes the OnePlus switch app, latest May security patch as well as support for more actions for recently deleted files in the Gallery. The update is being rolled out in batches so it might take a couple of days before the update gets to all OnePlus users. When you receive the update, make sure your phone is charged and you are connected to a strong WiFi network before you proceed with the update.